bonjour et bon weekend! it’s only mid-august so i hope you’re still enjoying summer even if some kids have already gone back to school. seems like it always started in september for us…i’m not sure when that changed but it doesn’t mean summer is over! anyway, it’s been a whirlwind around here with lots of travel and good times and even though it feels like i just got back from paris i’m scheduled to head over again in a couple weeks. 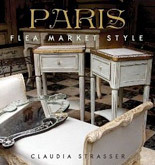 that said, i’ll be going to the maison et objet and shopping the markets with clients. let me know if you’ll be there in september too and want to meet for a cafe au lait! as i was making plans, i started talking with one of my colleagues (and friend), madelyn at paris perfect luxury rentals and she told me about an incredible opportunity. this gorgeous apartment is available for a full three months! what a dream it would be to get some friends together and travel all fall. i wish i could make it happen and we could all come and go! well, even if i can’t wing it, maybe you’re interested in renting it. 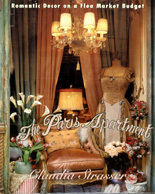 if so, contact madelyn here for more information: reservations@parisperfect.com. 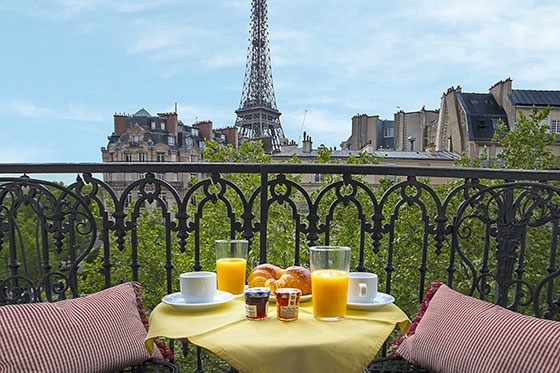 Here’s what Paris Perfect says: Have you ever wanted to wake up each morning and step out onto the balcony to see the soft colors of morning across the rooftops as the City of Light wakes up? Not having to feel rushed to see and experience everything as the days of a holiday–which never seem to be enough–pass by too quickly? Having the time to try the baguettes at all your localboulangeries until you find the one that is absolute perfection for you? Strolling leisurely along the Seine or popping in and out of boutiques without a hurry…falling in love with a garden and watching the seasons change. These are the moments where Paris really captures your heart and you can savor them again and again. anyway i wish it could be us…but if it’s you do it let me know! August 23, 2014. Tags: ParisPerfect. 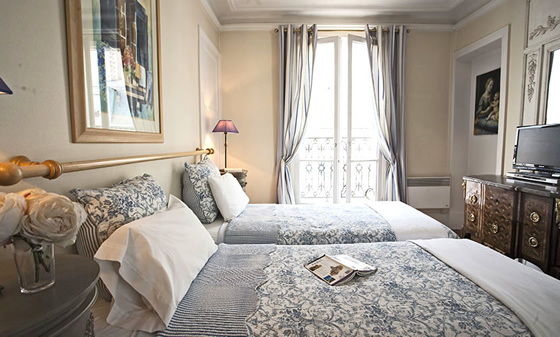 Paris, Paris Apartments, Paris Perfect Apartments. August 24, 2014 at 1:11 am. Permalink. August 24, 2014 at 4:19 am. Permalink. 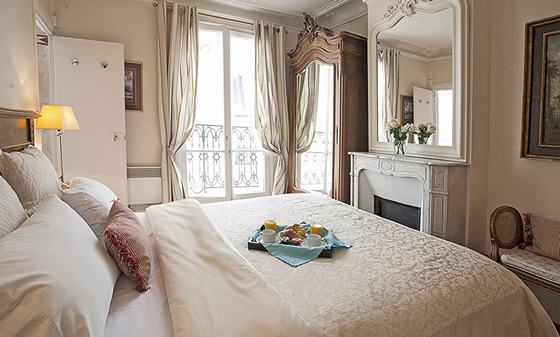 Indeed, the Paris Perfect apartments are a true delight in terms of their accommodations. Unfortunately, we had a very bad experience with management. Arrived in dead of winter after a long trans-Atlantic flight–made to wait 5 hours for apartment to be “cleaned” from last occupant, then finally given key to apartment which was stone cold. Took several hours for the apartment to warm up. Obviously there was no former occupant as we were lead to believe. That did not make a a good experience. Further complicated by no apologies or response from the company when frustrations were reported. August 24, 2014 at 2:21 pm. Permalink. August 24, 2014 at 4:12 pm. Permalink. August 25, 2014 at 5:04 am. Permalink. August 25, 2014 at 10:11 pm. Permalink. August 26, 2014 at 3:22 pm. Permalink. Beautiful apartment with a beautiful view! August 27, 2014 at 6:01 am. Permalink. August 28, 2014 at 7:52 am. Permalink. involved will earn us quick money. Advertising, merchandising and selling expenses can be cut in ways that could never even be considered in traditional marketing. People who stay at home while earning are relying on telephone system for their marketing strategies. August 30, 2014 at 11:27 am. Permalink. August 31, 2014 at 1:22 pm. Permalink. August 31, 2014 at 1:23 pm. Permalink. September 5, 2014 at 9:37 pm. Permalink. September 6, 2014 at 8:53 am. Permalink.